Easter holidays in barcelona 2018, the best plans! You were so looking forward to it! We will all have some days to relax and get away at last. Easter is coming and it happens right with the beginning of spring. It is just the perfect time to visit our awesome city Barcelona. We bring you the best plans for Easter in Barcelona. This time, we’ve divided them into 3, 4 or 5-day plans! What does it look like to you? No matter if you are form Barcelona, you’re visiting the city for the first time or have been here plenty of times, we are sure that you will not be indifferent to our proposals! We refer to the essentials, the to do list every visitor coming to Barcelona should see. There we go! As always, feel free to comment! We do love listening to you and giving reply to your comments. We bring you a complete tour through Gaudí’s wonders. This route includes walking through “The 9 wonders of Gaudí”, and “The secrets of Sagrada Familia”. 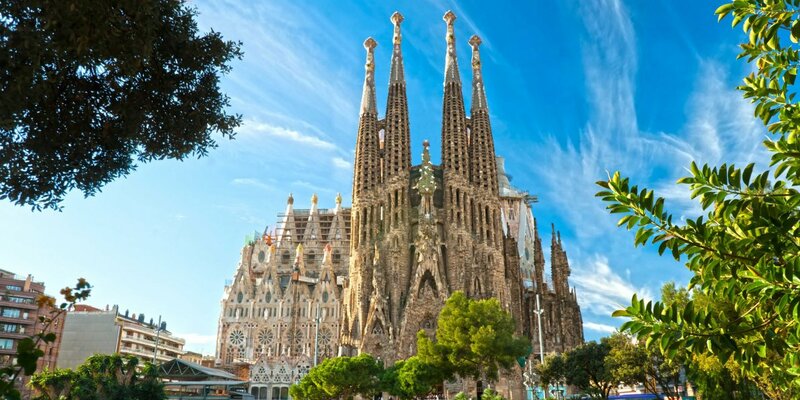 It is a must-visit for your first day in the city: Healthy, good, beautiful and cheap: Walking through the most iconic works of the architect and going into the Sagrada Familia. But of course, you must also pop into one of these great restaurants to taste the best Catalan cuisine. Once you’ve discovered the great wonders of the city, we suggest an alternative tour through the city center. Let’s visit Ciutat Vella and Barcelona Eixample: A tour suitable to go on foot, by bike or using public transport. 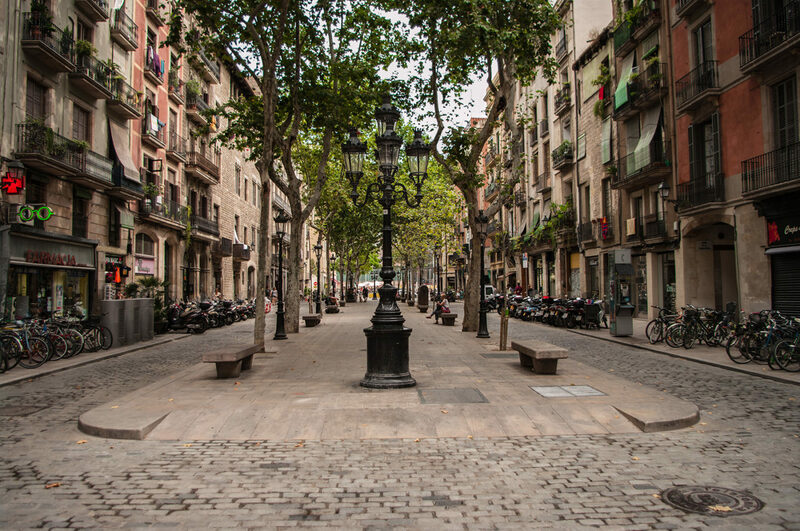 Every area of Barcelona has its own and distinctive charm, from the oldest part, Ciutat Vella, consisting of: El Raval, the Gothic district, La Barceloneta, Sant Pere, La Ribera and Santa Caterina. 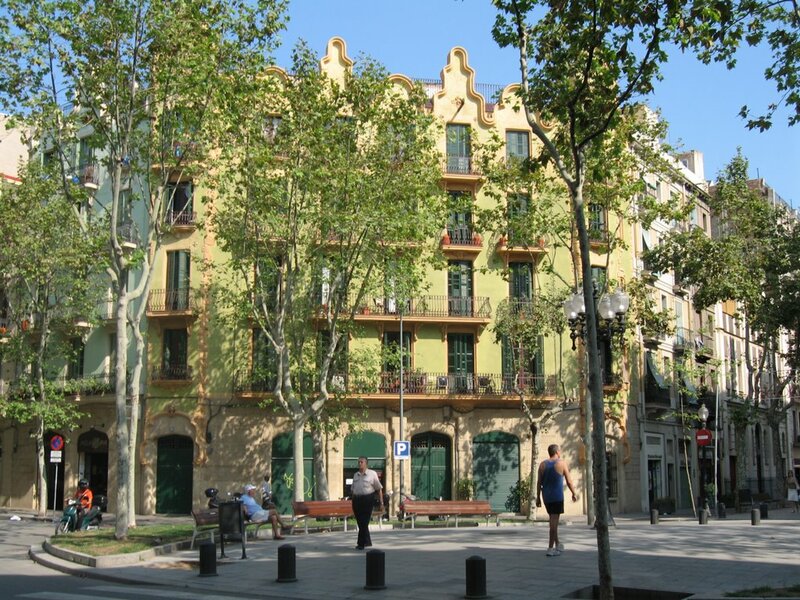 As well as other districts that are more modern, like L’Eixample. More information?Check our article about original tours! Finish the day eating at one of the coolest restaurants of the city center of Barcelona: Flax & Kale or any other of out list. After walking through the oldest part of Barcelona, what about going to the most contemporary one? 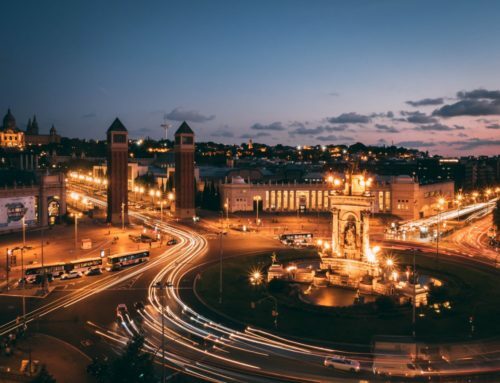 Barcelona hosted the Universal Forum of Cultures, an event without precedent that contributed to the dialogue around cultural diversity, sustainable development and conditons for peace. Today, the central stage of the great meeting constitutes a recovered area beside the sea, known as Forum. There, we find the following spaces: the Esplanade, where fairs, music festivals and large format events are held; the Forum building, with a triangular floor and undeniable icon of the contemporary architecture of Barcelona; the CCIB- International Convention Center of Barcelona, one of the most modern in Europe with a total capacity of 15.000 people; the Auditorium park, a great open-air area in front of the sea; the impressive photovoltaic panel, leaning suspended over a woods of very particular columns, a real symbol of Barcelona’s commitment with sustainability and environment preservation; and the Forum Harbor and swimming area, where we can enjoy the most genuine and Mediterranean character of the city. 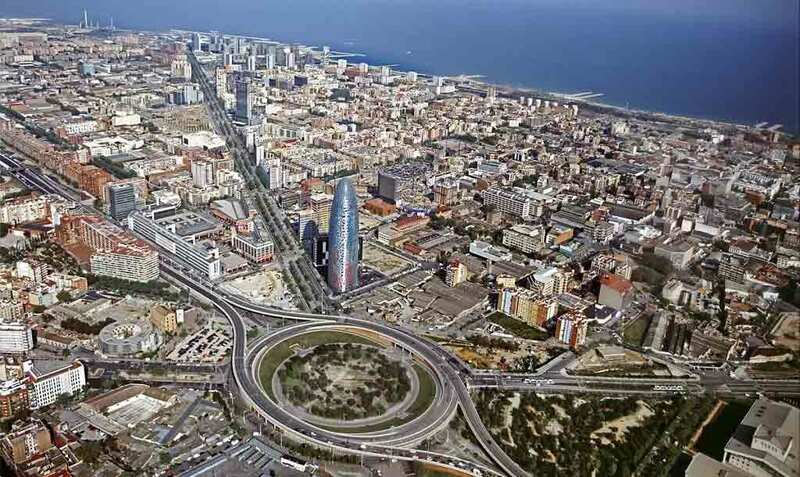 And now that you are in this area, what about visiting Poblenou? 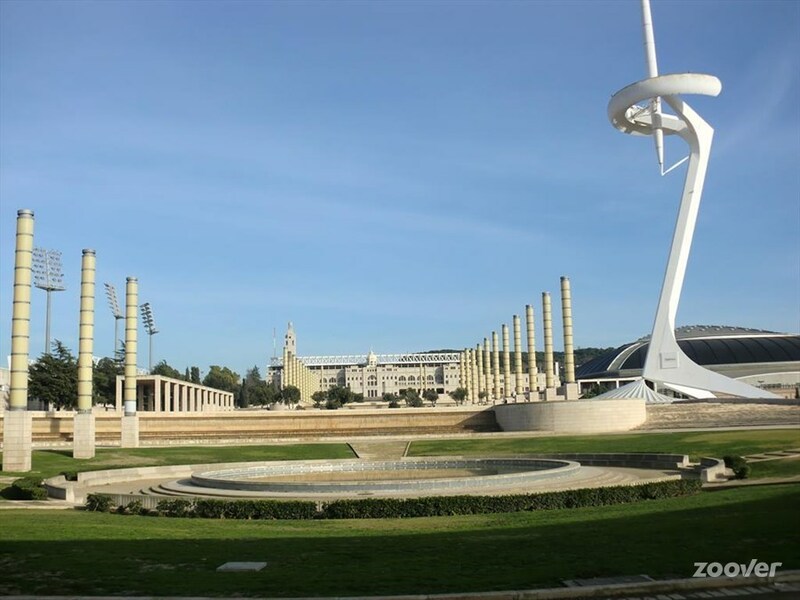 If you feel like having calm, a simple walk by the Glòries area passing by the Agbar Tower, walking up to Rambla de Poblenou might be a good idea. In your way, you will run into Mediapro and its giant screen. The rambla is a very peculiar area, as it gathers the traditional, lifelong tapas bars and stores with modern businesses that are making their own space in the neighborhood. And if you walk up to the end, you’ll find Bogatell beach, which is usually very quiet, with not too many tourists and the Mediterranean Sea in calm. You may also take part in some cultural activities, as there are guided tours organized. The Museum Can Framis of the Vila Casas Private Fooundation or Poblenou cementery are usually included in them. A good district to visit, to live and to work; actually, that’s why it is called 22@. PS: Save some time for shopping, you know! We also have some tips for that in our blog. Revisa los demás planes, ¡siempre puedes cambiar un día por otro! Did you like the essential plan? We extend the list with one more day to delve into the city a bit more. If you are a botanic lover, add the Botanical Garden, to your list, plus, in spring it is amazing! And if you are more keen on art, we recommend you to visit the National Art Museum of Catalonia, Joan Miró Foundation and Caixafórum. Take advantage that the area you are visiting is one of the trendiest ones in Barcelona, Poble Sec – Sant Antoni, and after so much walking, take a glass of vermouth! We remind you where to go for vermouth in Barcelona. We go on, more plans! We extend the list with one more day. The very top ones! To make your Barcelona experience unforgettable, what does it look like? FITH DAY: A GOOD FUN PLAN, LET’S GO TO TIBIDABO! 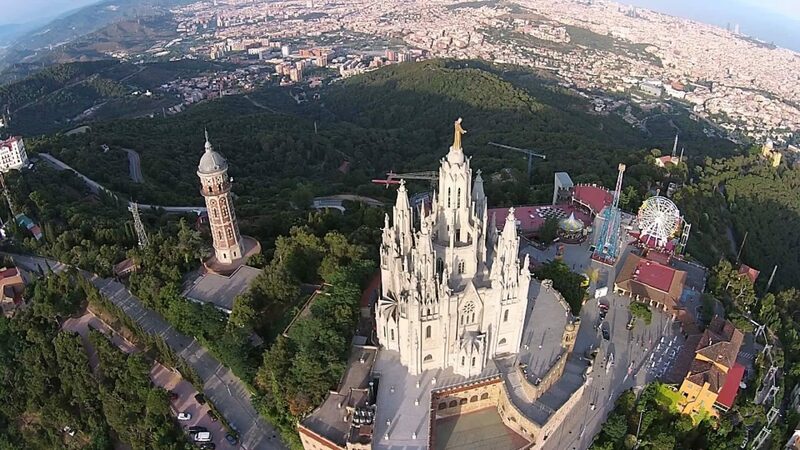 Did you know that Tibidabo is the oldest amusement park in Spain and the second oldest one in Europe? Important, we recommend it to you if you are not afraid of heights. The park stands out for its big wheel, its carousel and the Mystery Castle, where the youngest ones will enjoy an authentic adventure of terror and mystery. The roller coaster will suspend you at a height of hundreds of meters and it is just incredible to experience Barcelona from the air. It is also known for its Hall of Mirrors, where physics and optics make us see ourselves reflected in a thousand of different forms. Felling like a fun day? This is your best plan! If you are looking for more traditional Easter plans in Barcelona (either religious or not), we recommend you to check Barcelona’s Guide program or also, also check our article. Did you like our proposals? What are you waiting for to book your accommodation? Remember that at Hostemplo we give you all kind of facilities and have rooms and apartments suitable for all type of needs. And we remind you that if you book through our web, you’ll have free breakfast included every day of you stay tendrás el desayuno gratis incluido cada día de tu estancia. It’s not bad, is it?